Gandhi was a true Mahatma, a Great Soul, who cultivated the ideal of pacifism, reconciliation and nonviolent action throughout his life. He set an example by leading a life of simplicity and respect for the sacredness of all living creatures, a life full of courage, moral strength and spirituality. He fought injustice, exploitation and oppression wherever he was, and as a consequence he had to face frequent periods of imprisonment. He was a leading politician and a patriot, who fought and negotiated hard to open the way for India to become independent from British rule, while he gave time to meditation, spiritual practice and prayer, and devoted himself to supporting the truth and harmony that can be found in all cultures and religions. By making great efforts to bridge the gap between fighting Hindus and Muslims in India and Pakistan, he attracted the hatred of Hindu fundamentalists, which triggered his cruel assassination. Mohandas Karamchand Gandhi was born on October 2nd, 1869, in modern-day Gujarat in India. His father was the ruler of a small state and his mother was a pious and devoted Jain follower, who had a great influence on the young Mohandas, concerning the practical as well as the moral aspects of his life. Because of his mother, Mohandas adopted tolerance for different creeds, vegetarianism, fasting and the idea of leading a pure, decent life. 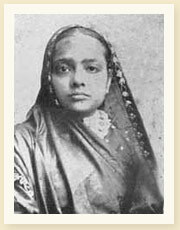 When Mohandas was 13, he married 14-year-old Kasturbai Makhanji, a marriage arranged by their parents, as it was the custom of the region. Kasturbai proved to be a devoted wife, an affectionate mother of four sons, a loyal partner and a heroine who followed her husband with dignity and respect through thick and thin. In 1888, Mohandas left for London to study law and it was during that time that Gandhi studied different religious systems like Christianity and Hinduism. He returned to India in 1891 and in 1893 he accepted a contract by an Indian firm to work in Durban, South Africa, which was also a part of the British Empire. Gandhi was appalled by the racial discrimination, lack of civil liberties and the Apartheid system in South Africa, where anyone who was not white was considered as inferior and treated as a second-class citizen. After spending 21 years in South Africa trying to eliminate injustice and oppression of the weak, and having spent several years in prison for his ideology, he returned to India in 1915 and concentrated on campaigning for Indian independence from the British Empire. In 1920, Gandhi was elected president of All India Home Rule League, and after a long period of political struggles that led to Gandhi's imprisonment on several occasions, India gained independence in 1947 but was partitioned into Hindu India and Muslim Pakistan. Riots between the two countries led to fanaticism and when Gandhi tried to put an end to the bloodshed, he was assassinated on January 30th 1948. Gandhi's philosophy was not only spiritual, but also political and social, with a profound respect for individuality. In its core there are two predominant words, "satya" that means truth and "ahimsa" which means nonviolence, along with his principles of "civil disobedience" and "nonviolent activism" which have proved universal ideals. Gandhi believed that truth had to be applied in all our words and actions and as a result, all our deeds would be according to the moral code of the ultimate truth that was God. If truth pervaded politics, ethics and human behaviour under all circumstances, society would improve exponentially. In his autobiography he stated that throughout his life, he had been experimenting with truth, making mistakes, learning from them, changing attitude when necessary, and making decisions based on the given facts during crucial moments in his life. As far as religion was concerned, Gandhi believed that "satya" was the basis for all major religions. Being a Hindu and a Jain himself, he often read the Bhagavad Gita for comfort and hope. What really respected more in Christianity was the idea of "turning the other cheek", and he considered Muhammad's teachings as a treasure for humanity. Once, when he was asked if he was a Hindu, he replied: "Yes, I am. I am also a Christian, a Muslim, a Buddhist and a Jew"
Nonviolence, peacefulness and love were the ideas expressed with "ahimsa". Gandhi believed that humanity was just one and undivided, and any violent action against another human being would be a violent action against oneself. He also believed that "ahimsa" extended to all living beings that had to be respected and protected from harm and killing. Coming from a Jain family he was a strict vegetarian for all his life and a living proof of his beliefs. He maintained that it was the duty of each individual to transform himself by attempting to live following the principles of truth and nonviolence. In order to achieve this, one had to develop a spirit of selflessness, responsibility, sacrifice for the general good, and simplicity. When Gandhi referred to simplicity, he did not mean poverty. He meant a voluntary simple way of life without hoarding and consumption only of what was really necessary. Walter Harding, a famous scholar and biographer, who had studied Thoreau's life and work, commented on Gandhi saying that he was the only one who carried out so well the principles of Thoreau, despite the fact that Thoreau himself never considered of leading a political, national movement and the fact that Gandhi's Satyagraha went much further than Thoreau's Civil Disobedience. Some say that Gandhi was a saint who tried to become a politician, some others say that he was a politician who tried to be a saint. Gandhi himself had agreed with the latter, because he had always struggled to remove all kinds of injustice from society. Above all, he was a humanist and a great philosopher. He was a proponent of unity and harmony, who wanted Satyagraha to be a means of satisfaction for both rival parties, not a means for division and further struggle. Gandhi did not want the oppressors to be defeated with moral and nonviolent means. With his behaviour and way of life, he wanted to teach them a lesson in order to make them realize their mistake and change heart. He said: "All my actions have their source in my inalienable love of humankind." The first video shows a rare film footage in which Gandhi speaks.